My level of excitement is unreal right now. 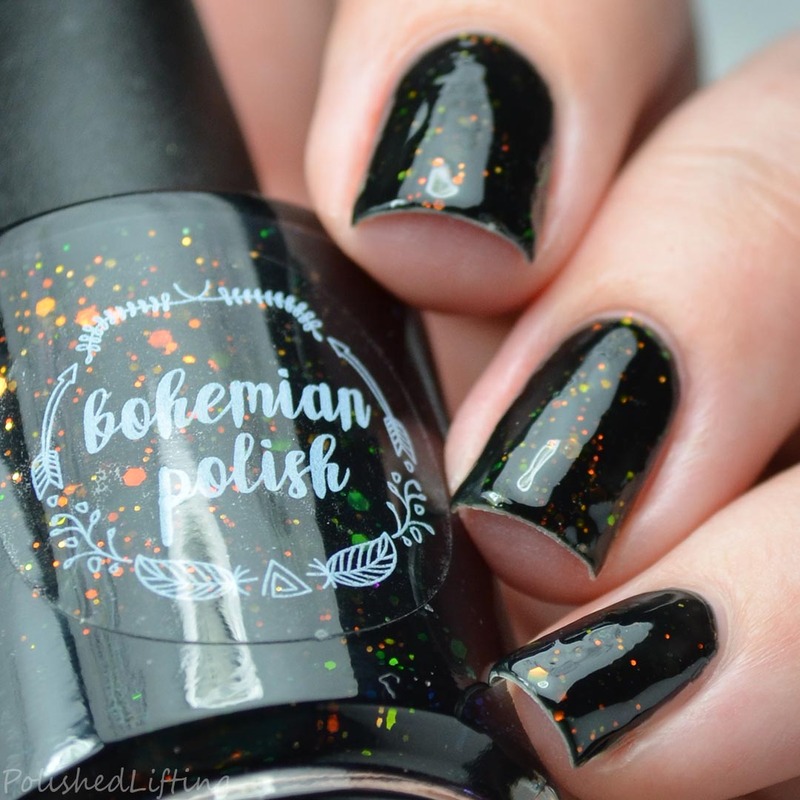 Polish Con Chicago is just around the corner and there are a ton of amazing shades being previewed right now. Today's post features the Bohemian Polish Polish Con LE shades. There are four colors in total and I honestly couldn't imagine missing out on a single one. Notes: Comin' Home Again officially takes the cake as my new favorite gray. 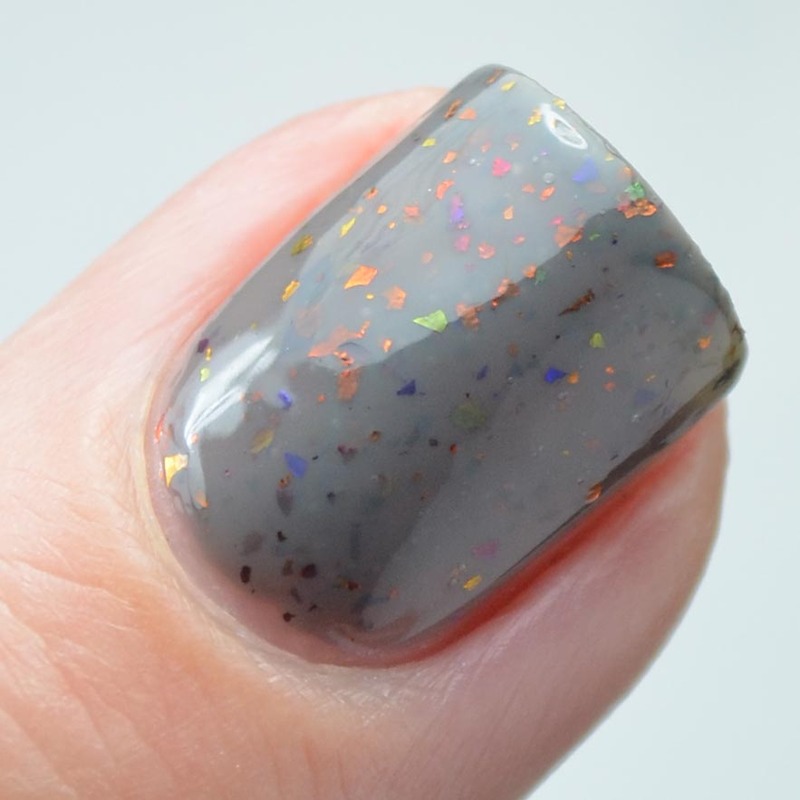 The flakies add a nice splash of color against a perfect medium gray base. Notes: Pulaski At Night is like the navy version of Rockets Red Glare and Shell Yeah. Spoiler alert! I love this one just as much as the other two. I would love it if Jen would release a whole rainbow of these. 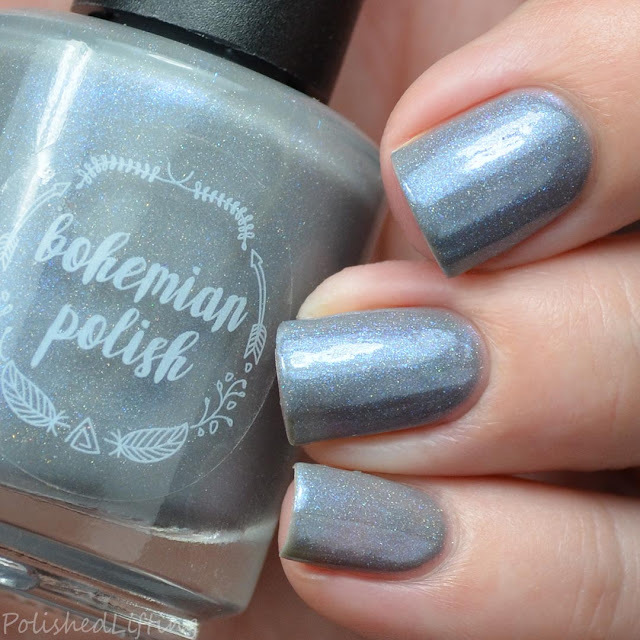 Notes: City By The Lake is a pretty, cool toned gray. 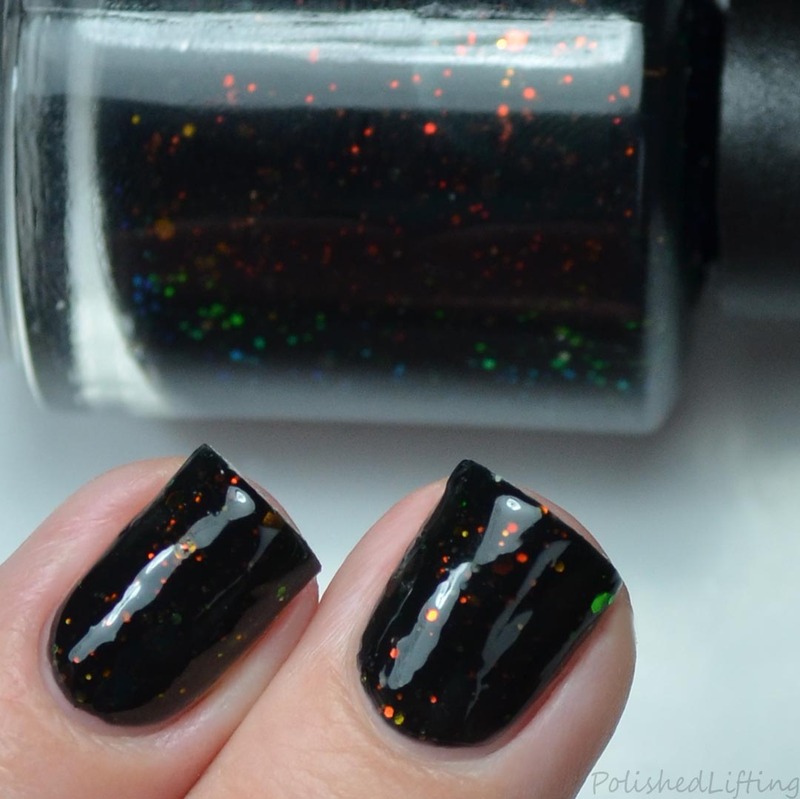 The blue flash really makes this shade for me. Notes: If you aren't just delighted by Rock On Chicago we probably can't be friends. Just kidding... maybe. 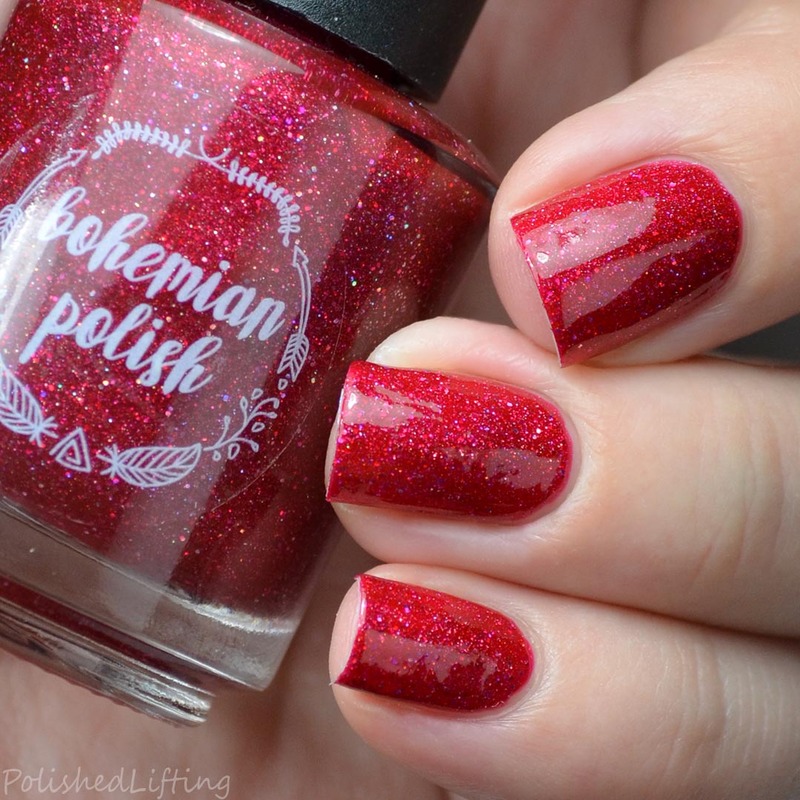 This speaks to my crimson loving heart. 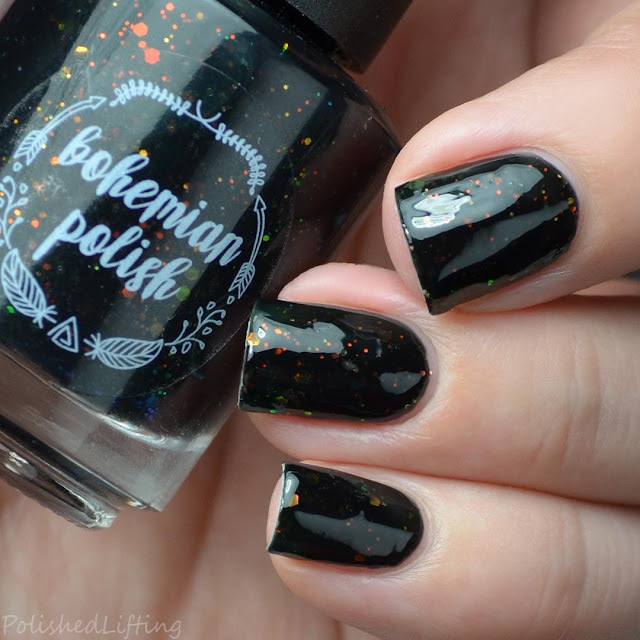 The four shades featured in this post will be available at the Bohemian Polish table at Polish Con Chicago. Overpours will be listed on the website on 9/26. If you enjoyed this post you might like Bohemian Polish Baltimore Rainbow & Candied Cuticle Oils and Bohemian Polish Road To Polish Con & Brooklyn Beauties.